21" packaged round balloon. Might bright with Might pics. 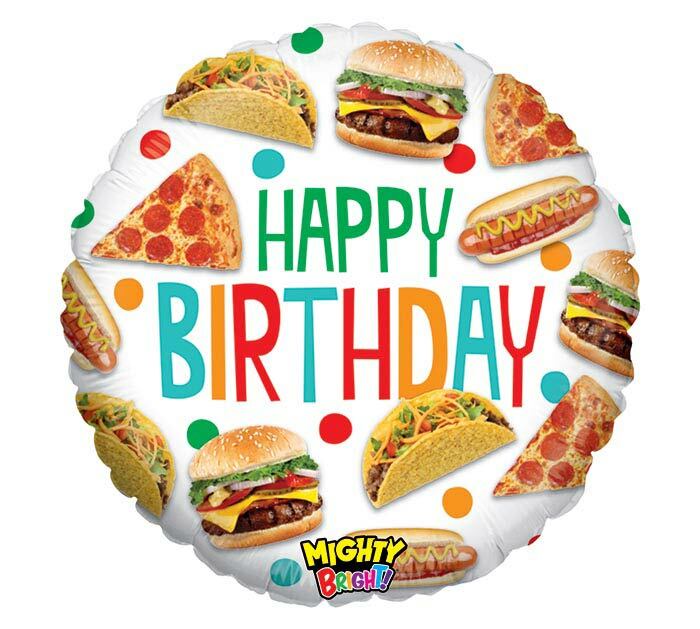 All white balloon with tacos, hot dogs and pizza all over it and the message: Happy Birthday!